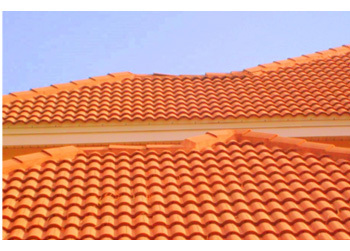 Ridge capping refers to the tiles that are installed along the ridges and heaps of a roof. Over time the mortar holding these tiles in place can crack and deteriorate, causing leaks and allowing tiles to move out of place. Proper ridge cap repair includes pressure cleaning the tiles and re-bedding them with mortar where necessary. We then expertly re-point the tiles with a modern flexible pointing compound, leaving them with a smooth clean finish and more importantly – watertight.